Imagine visiting your grandparents and you discover the staircase to the attic. You open the door and there are so many things, wonderful things that must be family treasures. You're ever so curious. Who did these things belong to, and what's their story? 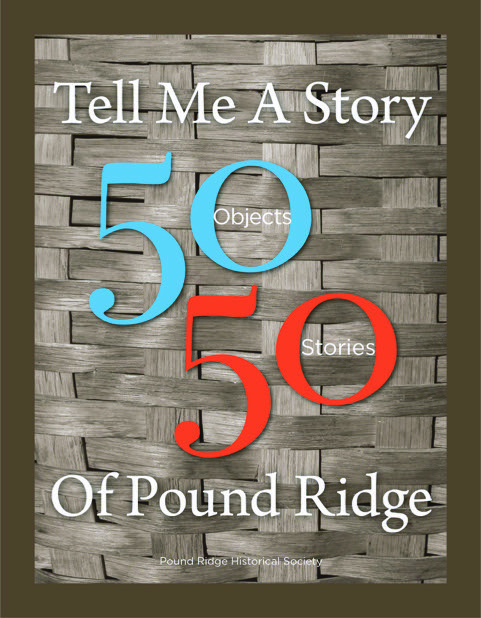 That's what our 50 Objects - 50 Stories exhibition is all about; an eclectic look at pound Ridge - somewhat scholarly, somewhat whimsical, somewhat serious, always historical. Designed to appeal to both adults and children, this lighthearted display will be open at the Museum from April 29, 2018 through 2019. What's more, each of the 50 objects will have its story told in a handsome bool that will accompany the exhibition. And the book will sell for only $10, so we expect many people to want one.